Polyacrylonitrile ultrafiltration membrane was used to remove nitrate from aqueous solution, assisted by variations in cationic surfactant type and structure [cetylpyridinium chloride (CPC) and hexadecyl trimethylammonium bromide (HTAB)]. This paper also studied the effects of membrane thickness (150, 200, 250 µm), nitrate concentration (40, 120, 200 ppm), and surfactant concentration (0.4, 5.2, 10 mM) on removal efficiency. To this end, the required experiments were designed through response surface methodology using design-expert 7.0.0 software. The results showed that CPC was generally more efficient than HTAB due to its hydrophilic head structure. Rejection was improved significantly by increasing surfactant concentration over critical micelle concentration (CMC), but a slight fall was observed for CPC at about 10 mM concentration of surfactant in all nitrate concentrations. The optimal condition was obtained at 8.18 mM CPC, 196.2 ppm nitrate and thickness of 160 µm, which resulted in rejection of 80.29% at 30th min of filtration with an average flux of 19.25 L/m2 h. Increasing pressure showed a positive effect on rejection. 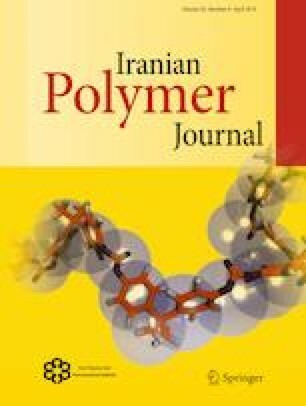 Also, modified PVP-optimal membranes (160 µm) associated with different polyvinyl pyrrolidone (PVP) percentages by weight showed higher flux compared to an unmodified optimal membrane. Porosity and water content of optimal membrane were 49.9% and 82.56%, respectively, and surfactants rejection was always close to 100% over CMC.